The Preakness Stakes is a Grade I thoroughbred horse race run over a distance of 9.5 furlongs held on the third Saturday in May each year. This is the second leg of the Triple Crown, held after the Kentucky Derby and before the Belmont Stakes. The race has been called “The Run for the Black-Eyed Susans” because of the blanket of yellow flowers that are placed around the winner’s neck. Attendance at the Preakness Stakes ranks second in North America among equestrian events, surpassed only by the Kentucky Derby. Due to the overwhelming amount of people who attend, we put together this guide to aid you in your ticket buying process. 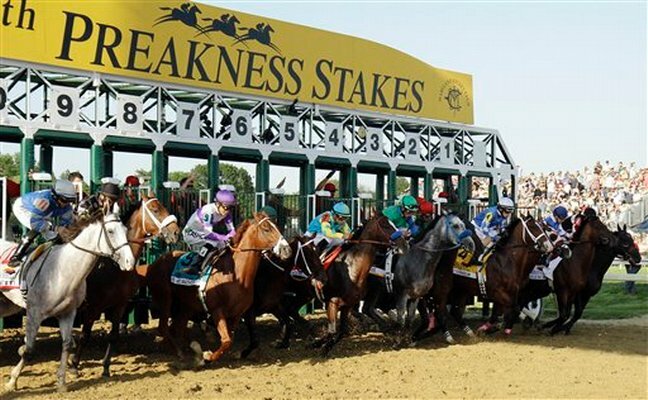 Just like The Kentucky Derby and The Belmont Stakes you should register for The Preakness Stakes early. 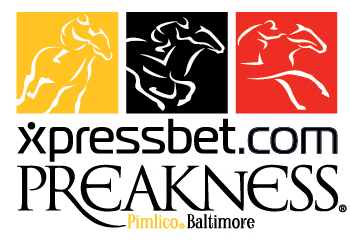 There are many benefits for registering such as staying up to date on upcoming Preakness events, like when tickets go on sale, and you will have an opportunity to be the first to enter their contests to win Preakness prizes. If you don’t sign up you risk not finding out about ticket onsale dates until after it begins and the tickets you want might be selling fast. So keep in mind what tickets you want and get in that queue to get your tickets early! Once tickets go on sale you need to know what sort of ticket you want. There are tons of options when deciding where you want to sit and it may be a little overwhelming if you don’t know where/what they all are. So we will outline them here for you. Black-Eyed Susan General Admission & Infield Concert: These tickets allow access to the Infield, Grandstand and Clubhouse facility. Open seating is available in the Apron Box, Concourse Box and Concourse Reserved Seating, but this does not include an assigned seat. Preakness Day General Admission: This does not include seating. Each general admission ticket is standing room only inside the Grandstand or Clubhouse facilities. Infield Mug Club: An upgraded experience the Budweiser InfieldFest with access to all Festival areas featuring exclusive Mug Club stations where all Beer is included. Infield Admission: General admission to Budweiser InfieldFest with access to all the Infield Main Event areas and amenities including live performances. This ticket does not include seating. Concourse Box: Open-air seating that provides box accommodations for parties of 2 to 6 people. Seating is located outside and just in front of the Grandstand Concourse Reserved for Preakness day only. You will be near the mutuel windows and concessions. InfieldFest is included with your ticket. Concourse Reserved: Enjoy the sights and sounds of each race as the horses round the turn for home and head towards the finish line from the old Hilltop Grandstand. Close by you will find food and beverage concessions, restrooms and mutuel windows. Seats here are undercover and are available for Preakness Day only. InfieldFest is included with your ticket. Concourse Apron Box 29-102: Located directly along the home stretch in an outdoor location, this seating area has easy access to mutuel windows, restrooms, and food and beverage concessions. Infield fest is included with your tickets and Black-Eyes Susan day seats and Preakness seats are available to purchase, although you do not need to buy both. Grandstand Upper Reserved: Indoors, the Grandstand Upper reserve gives panoramic views of the racecourse including the Home Stretch and Finish Line from theater styled seating with easy access to mutuel windows. These are available as single say or two day tickets. Infield admission is included with your ticket. Concourse Apron Box 29-102: Directly along the Home Stretch, these seats are located outside and not under cover with easy access to mutuel windows and concessions. InfieldFest admission is included with this ticket. Grandstand Apron Box 1-28: Section 1-28 give you close proximity to the finish line with access to the mutuel windows and concessions. These seats are two-day only tickets for both Black-Eyed Susan and Preakness Days. InfieldFest is included with these tickets. Clubhouse Box: Up and close to the races, the clubhouse box is outdoors and right up to the rail. Access to the mutuel windows and concessions are convenient as these boxes are on the first floor. Admission to the InfieldFest is included. Grandstand Lower Box: This personal box is located outside in the mezzanine section between the 16th pole and the finish line. Mutuel windows and concessions are easily accessible and Infield admission is included with this ticket. Grandstand Upper Box: Located on the second floor, these indoor seats come with a view of the Home Stretch and Finish Line as well as individual TV’s in your personal box so you won’t miss the action. Infield admission is included with your ticket. Grandstand Upper Reserved: For those who prefer to be more comfortable indoors, these seats provide wide views of the course including the Home Stretch and Finish Line. Located on the third floor, these seats provide very easy access to windows and concessions. These tickets are available as single day or two-day tickets. InfieldFest admission is included. Clubhouse Turn Reserved: Sit under a canopy right on the rail with access to beer, wine, soda and water, plus betting windows, restrooms and a complimentary Preakness program. Concessions such as the food trucks and a well serviced bar are available to purchase in the seating area. Tufside Terrace: With views of the race course’s home stretch and finish line from your table, you have premium seating with a gourmet lunch buffet and access to beer and wines as well as the Preakness souvenir program, private comfort stations, mutuel windows and entertainment. There will be two large screens so you can follow the races throughout the day and you will have one complimentary parking pass for every five tickets purchased. 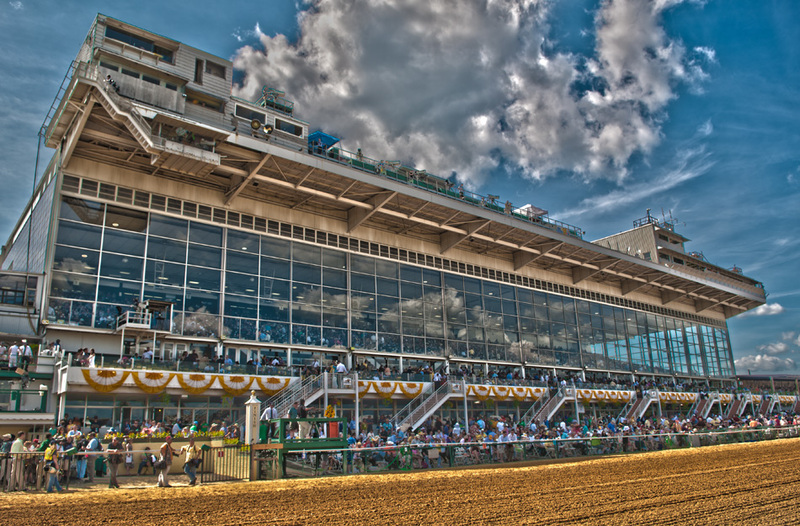 Clubhouse Turn Suites: With views of the home stretch along the clubhouse turn, you will have access to a 30 person, climate controlled suite with preferred parking, custom designed gift bags, official Preakness Programs as well as premium Preakness souvenirs. You will have a private pari-mutuel window and comfort stations with access to the Preakness Village. InfieldFest admission is included in your ticket. Sports Palace Reserved: Located directly after the finish line, these seats have the best view of the final stretch and the finish line. This reserved area is in a climate controlled seating section which includes plush seats, a gourmet luncheon, beer and fine wines and access to mutuel windows and a Preakness souvenir program. Infield admission is included with your ticket. Turf Club Tent Package: A tent of a smaller scale with individual tickets or a reserved table of 10 will be available as well as preferred parking, custom-designed gift bags with premium Preakness souvenirs, private mutuel windows and executive comfort stations. InfieldFest is included with your ticket. Corporate Tent Package: This tent has an outdoor fenced lawn terrace for you to host 75 of your most influential clients with the feel of an intimate Garden Party. Enjoy music and entertainment as well as Promenade boutiques as you stroll through the village. Amenities include admission, preferred parking, premium souvenirs, a private mutuel window, custom-designed gift bags, and executive comfort stations. InfieldFest admission is included with your ticket. Chalet Package: Your Chalet will have a climate controlled interior for guests of up to 80 people with exterior seating under a covered porch. You will have a prominent position at the rail to enjoy the day’s races. Amenities include admission, preferred parking, an official Preakness program, custom-designed gift bags, a private pari-mutuel clerk and executive comfort stations. InfieldFest admission is included with your Chalet ticket. International Pavilion: This is the premiere destination, located on the turf course rail, adjacent to both the first turn and the finish line with an excellent view of the Winner’s Circle. This tent features indoor and outdoor seating with a first class views of the festivities and all the races. Guest of this pavilion include celebrities, government, federal, state, community, and diplomatic officials as well as Fortune 500 executives. You will have access to an exclusive hospitality package including the special International Pavilion menu , spacious lounges, and veranda seating with large TV’s, VIP gift bags, and you will have access to all amenities within the Preakness Village. Amenities include musicians, entertainment and village boutiques, personalized credentials and VIP parking. Preakness Village: Indulgence of first-class entertainment is situated infield in a prime location next to the finish line and Preakness Winner’s Circle, where the famed Woodlawn Vase is presented. Enjoy exclusive amenities in unparalleled style. InfieldFest admission is included. If you are a returning guest wishing to purchase the same seating tickets from the previous year you will need to contact the ticket office to make your request. If this is you first time you will want to make sure all your guests and friends have tickets in the same location, since there are so many seating options and you cannot visit other in different sections. Children are allowed to come to Preakness but any above the age of 7 at the InfieldFest must have a ticket. If they are over 5 and require a seat on Black-Eyed Susan Day and Preakness day they also need a ticket. Now that you’ve bought your tickets you just have to wait until you get your tickets and then after that, race day. But before you go you should plan out your trip (if you are coming from out of state) to Baltimore for an exciting weekend at the races. Depending on how long your stay will be you can consider attending a some/or all of the Preakness Week Events which include: Sunrise at Old Hilltop, Preakness Post Position Draw, Preakness Alibi Breakfast, and the Jockey Autograph Sessions. Once you’ve decided if you’d like to attend other events, (if any) then you should plan trip logistics such a flights and hotel accommodations. There are many hotels to choose from, so your options aren’t too limited. If the place you are staying is a bit of a distance there is public transportation via MTA Bus, Metro Subway, and Light Rails that will come close to the field. Don’t forget about the ever important security policies. There are many items that you can or cannot bring to the racetrack on the day of the races so you will want to make sure you are all set to enter the gates and enjoy yourself. Have we missed something that you want to know about? Contact us at contact@ticketcrusader.com for questions and concerns that you might have about the Preakness Stakes and we will do our best to help you out.